Medium Kitchen Tidy Bags suitable for smaller bins in kitchen and office environments. Individually dispensed roll pack of White Kitchen Tidy Bags. 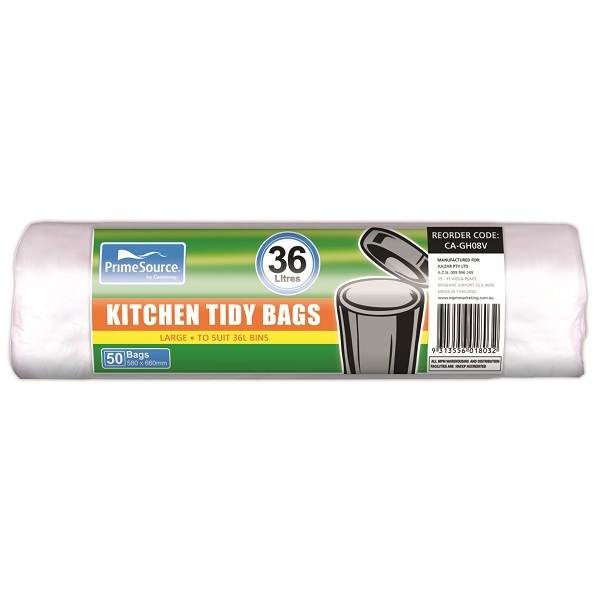 Pack of 50 White Kitchen Tidy Bags. Price each - Order 20 to receive on carton. 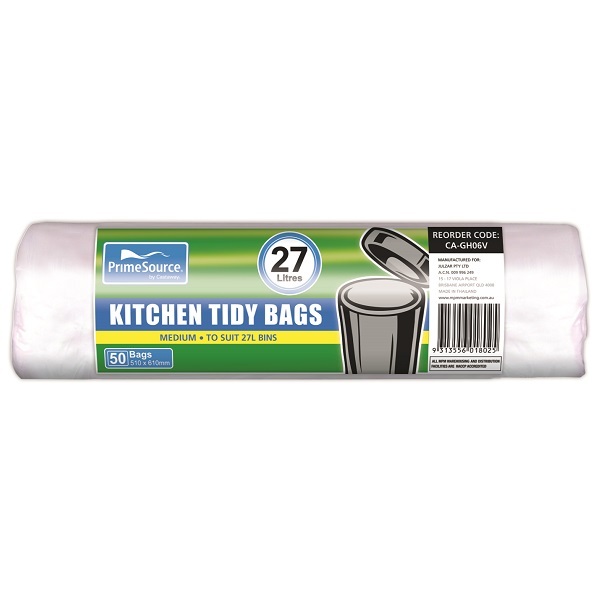 Large Kitchen Tidy Bags suitable for smaller bins in kitchen and office environments. 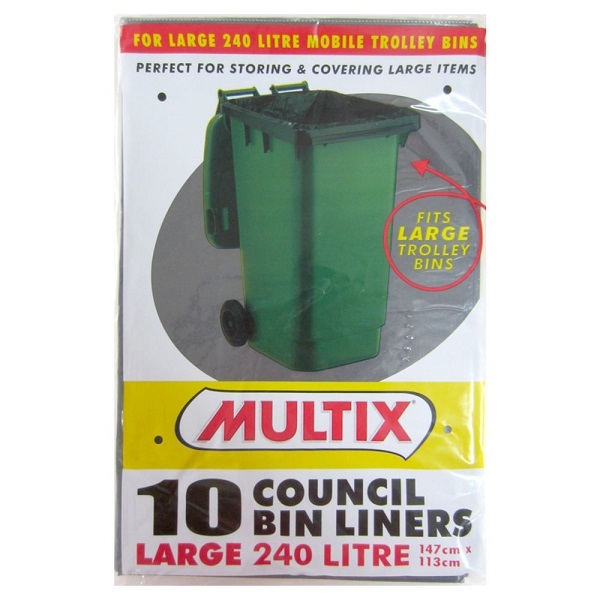 Heavy Duty Garbage Bags to suit 70-77 Litre Bins. Individually folded Black Garbage Bags. 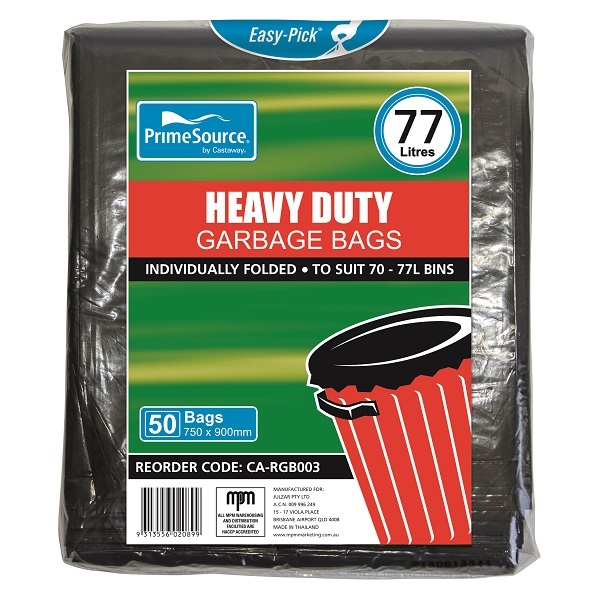 Pack of 50 Black Garbage Bags. Large Garbage Bags to suit 240 Litre Mobile Trolley Bins. Individually folded Black Bin Liners perfect for storing and covering large items. Pack of 10 Black Bin Liners. Price each - Order 12 to receive one carton. Important: These products can ONLY be ordered by our existing Account customers. Orders received for Non-Account customers and/or for overseas destinations will NOT be processed.